Our route pointed north from this point onwards, meaning only one thing: our trip around Portugal was coming to an end. 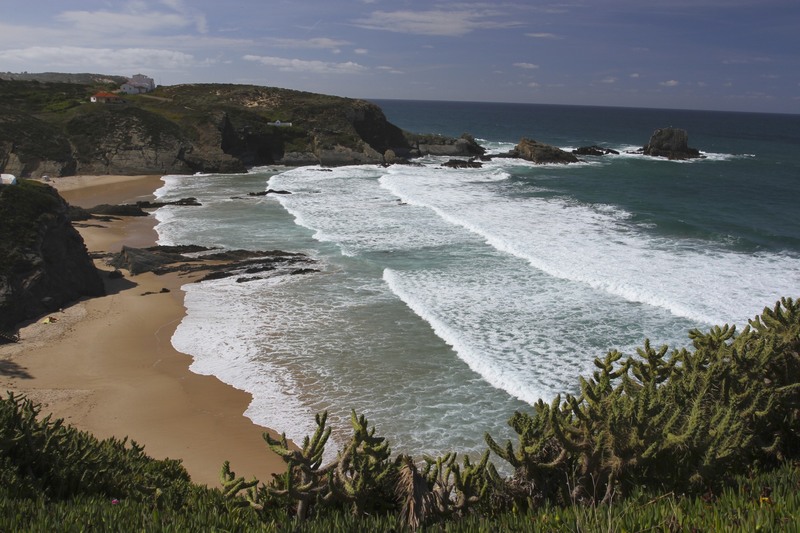 We debated whether we should spend our last day or two in Lisbon, but decided we were enjoying Portugal’s wild western coast too much to swap it for a city. 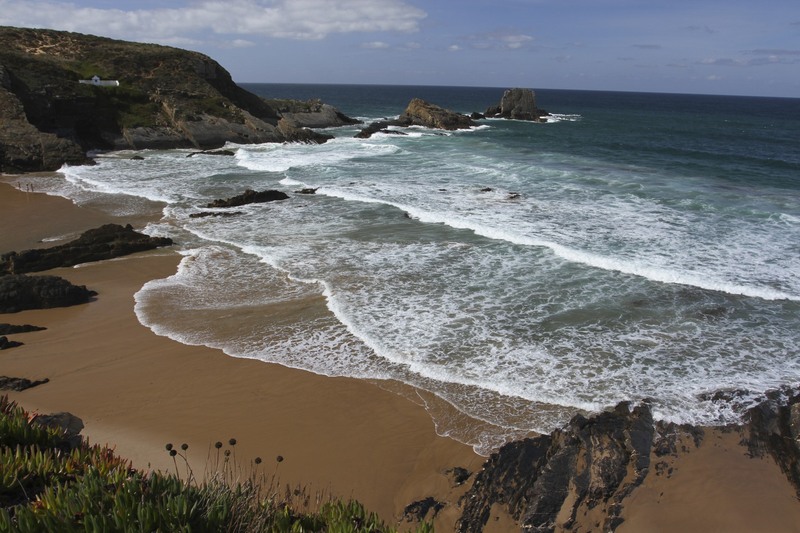 Instead we decided to drive up the coast and stop in Sesimbra for a night or two – close enough to Lisbon airport for a quick getaway, but still on the coast. 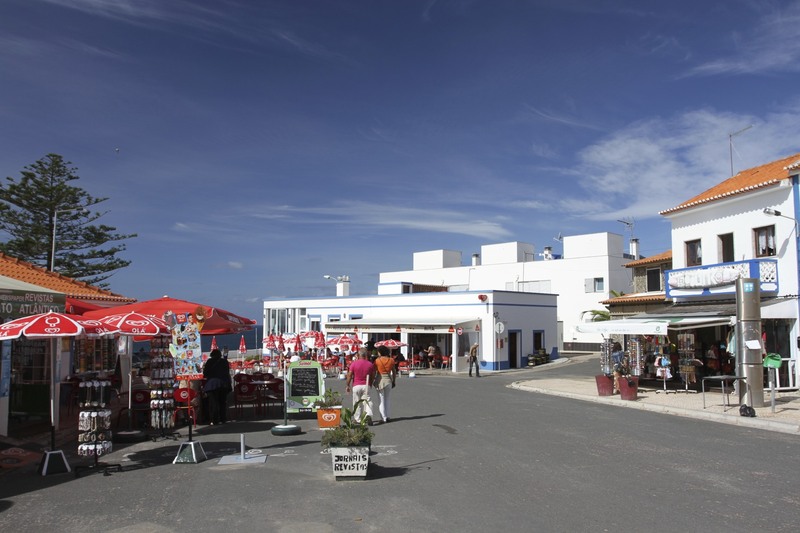 We left Odeceixe early and crossed from the Algarve back into the Alentejo region and headed to the small picturesque town of Zambujeira do Mar for breakfast. 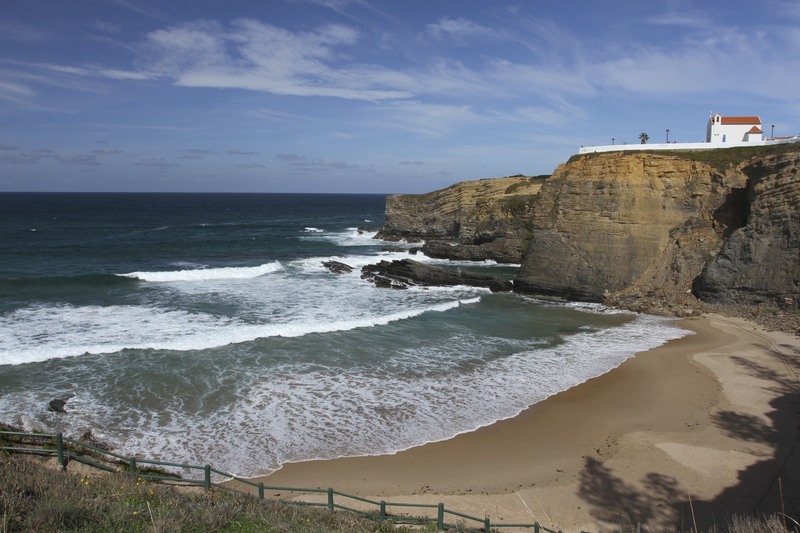 The town sits precariously on top of towering cliffs, and on one of the beaches there was evidence of a recent collapse with large chunks of the former cliff laying on the sand. Standing on the cliff edge is the lovely little chapel of Nossa Senhora do Mar (Our Lady of the Sea), which I suspect might be in the sea soon. 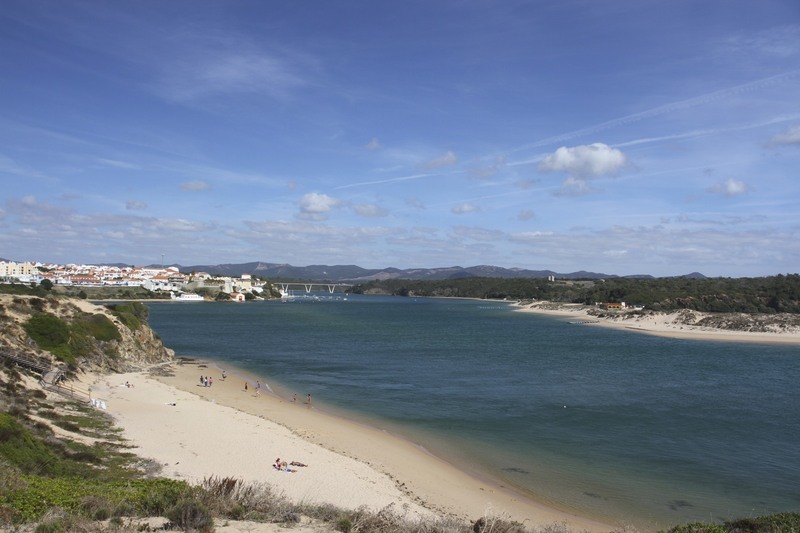 It’s hard to imagine on a quiet weekday out of season, but this tiny place is home to a massive music festival in the summer, the Festival do Sudoeste, when the whole town is overrun by festival goers. We had a stroll around town, stopped into a small cafe for coffee and fresh juice before heading back out of town just as a tour bus pulled up in the centre – we made good our escape. 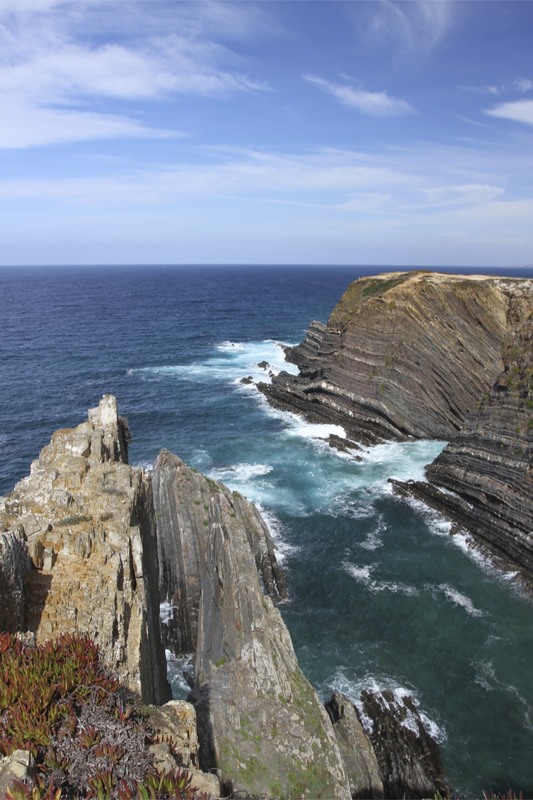 Following a small road that took us through tiny villages towards Cabo Sardao we got lost several times thanks again to a woeful lack of sign posts, but eventually found ourselves standing on top of high cliffs looking out over Cabo Sardao, a red and white lighthouse behind us. 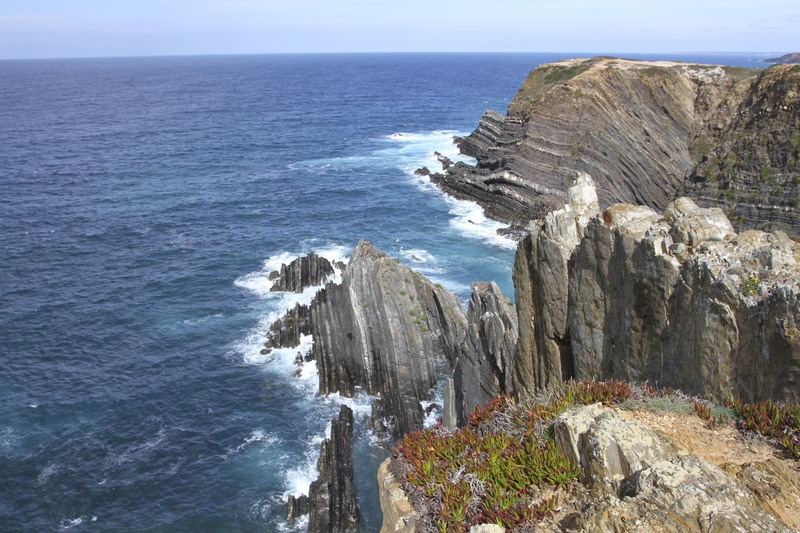 This whole section of coastline provides some of the most dramatic coastal scenery I’ve ever seen, and this was underlined at Cabo Sardao. It is magnificent. 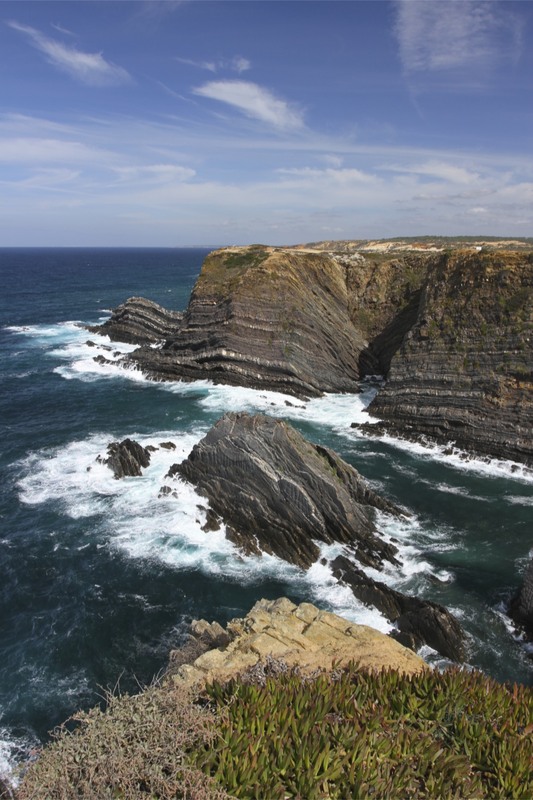 We had a short stroll along the cliff tops and then hopped back into the car and set off north again for Vila Nova de Milfontes. Our guidebook told us that there was a really good restaurant in the town and lunchtime was approaching. 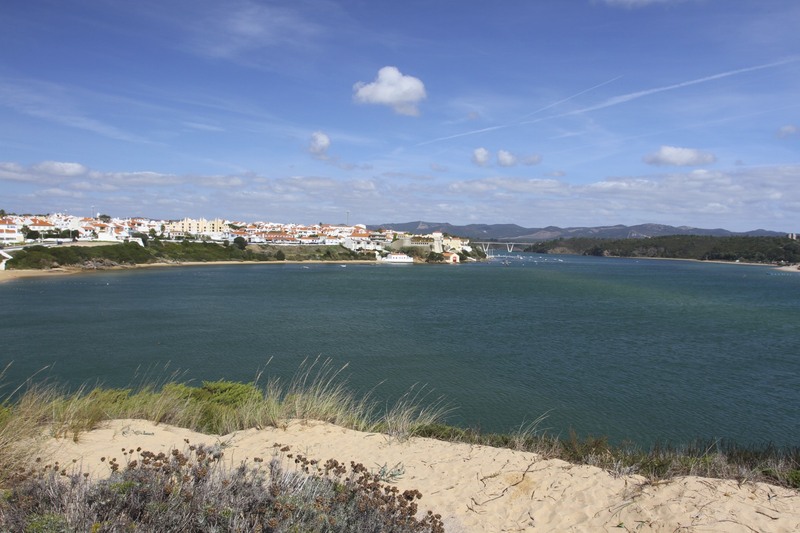 When we reached Vila Nova de Milfontes we drove into town and immediately got lost. Eventually a parking spot was found and we strolled through near empty streets in an attempt to find the restaurant. 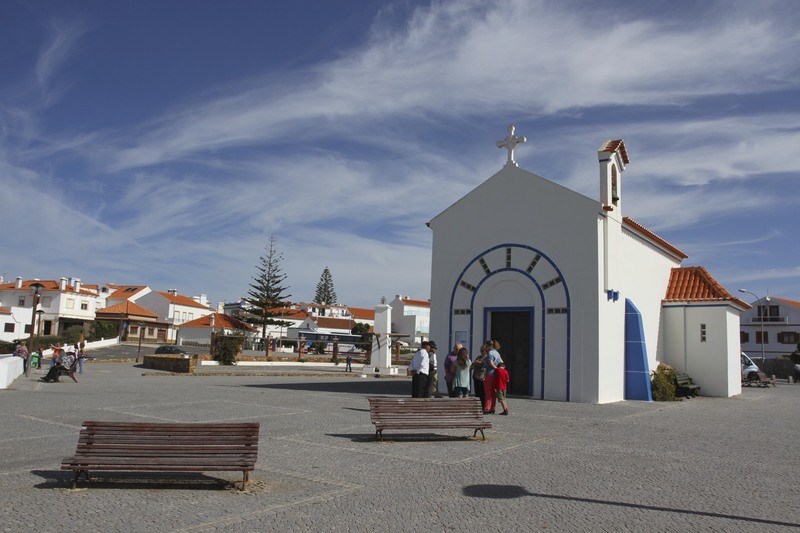 Vila Nova de Milfontes is a bigger place than most we’d seen over the last couple of weeks, but out of the main tourist season it felt very sleepy. As did I after wolfing down yet another plate of the Alentejo classic of pork and clams at the Tasca do Celso restaurant. Lunch was accompanied by a lot of people watching as local families gathered to eat together, the restaurant was filled with the noisy hubbub of friends and family having fun. 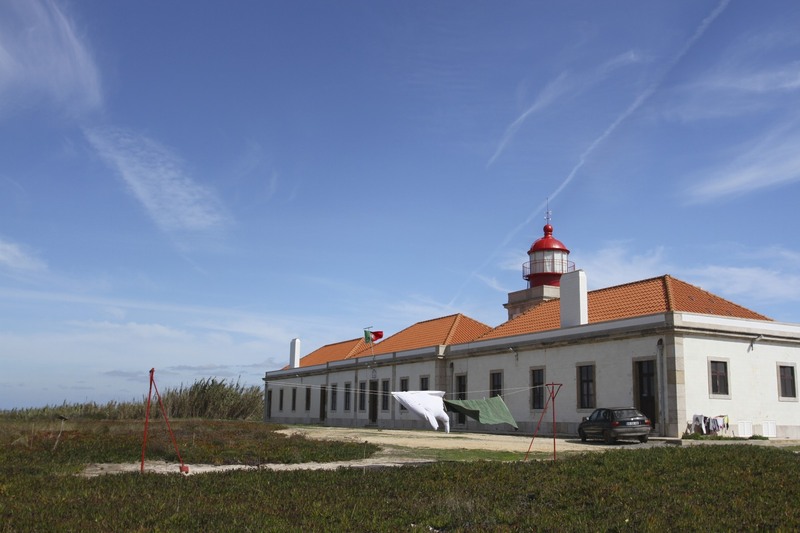 After a little rest down by the beach we were back on the road and heading for Troia at the tip of a long thin strip of land from where we caught a ferry to Setabul, a short distance from Sesimbra. Looking at a map we seemed to be covering half the country in one journey but Portugal is relatively small and you can cover a lot of ground in a day; that said we arrived, tired but happy, in Sesimbra as the sun was setting.